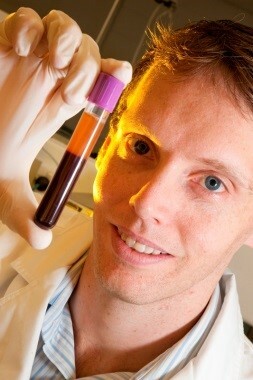 Our new platform, Experimental Laboratory Science (XLabS) is directed by Dr Andrew Bulmer. This platform will transition and expand from our established Microbiology and Infection Prevention group led by Dr Li Zhang, as she prepares to take on a new role. The XLabS platform works closely with other AVATAR platforms (Dressing and Securement, Flushing and Blood Sampling, Paediatric and Neonatal, Devices and Therapy, Education and Knowledge Transfer) to provide pre-clinical evidence to support and inform the development of full clinical trials, providing strategic direction, in addition to potential cost and time savings before trials are undertaken in hospital settings. AVAS's 2nd Scientific Meeting was an outstanding event by all criteria- innovative practice improvements, great science, passionate leaders, consumer engagement, quality products, and a meeting of friends for networking, encouragement and fun. Over 30 AVATAR researchers made the trip to join their colleagues in Western Australia and presented in every session. Congratulations to Emily Larsen for being recognised with the Best Paper award. 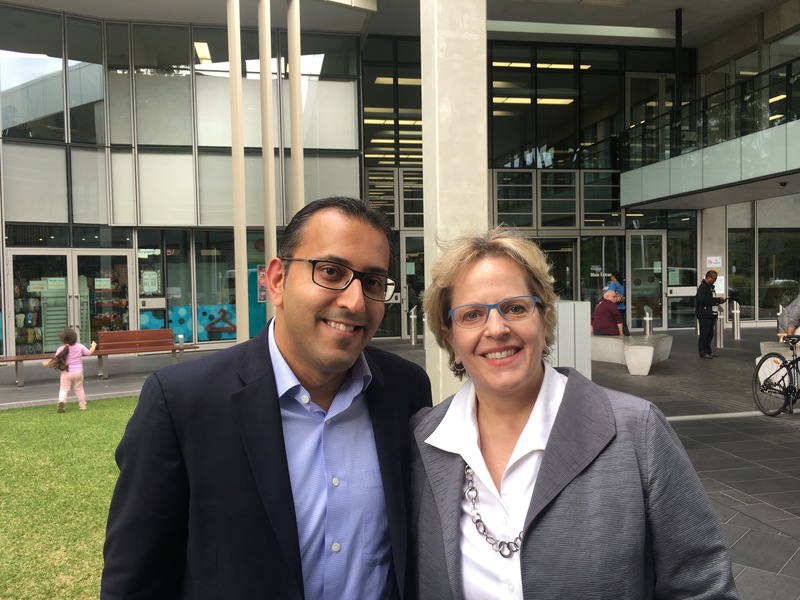 We were fortunate to have inspirational international invited speakers, being Professor Fiona Wood, Dr Naomi O'Grady, and Dr Vineet Chopra. The WoCoVA team also brought us several high-profile international speakers from the last World Congress held in Portugal. Congratulations to the convenors of both events, and thank you to our international colleagues for making the very long trip 'down under'. Our thanks to Angiodynamics for sponsoring Tricia Kleidon to present her research, and to 3M who supported a pre-conference event where AVATAR and international clinicians shared their experiences of improving vascular access. AVATAR provided full or partial funding support for 15 nurses & scientists to attend the AVAS ASM & WoCoVA mini-meeting, and in many cases to present oral or poster presentations. This money comes from funds earned by the senior researchers for consultancies. For several attendees it was their first conference presentation, and they all did fantastically well. 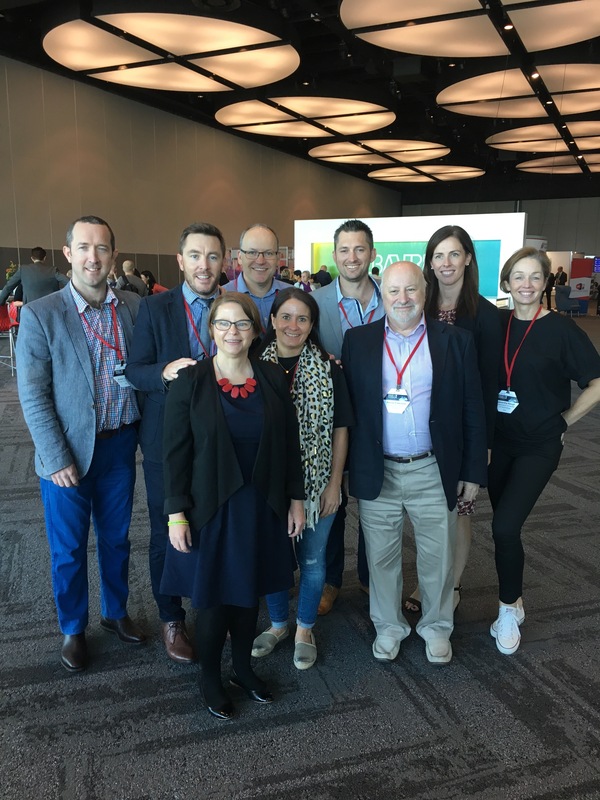 The 3M Global IV Leadership Summit in Minneapolis was held in May after the combined Australian Vascular Access Society and World Congress Vascular Access (AVAS/WoCoVA) in Perth. I was extremely fortunate to attend both. Full of enthusiasm after such an energetic experience in Perth I popped home briefly to swap suitcases and then jumped on another flight to Minneapolis. The opening address by Kathleen Vollman encouraged us to Learn it, Lead it, Live it: Strengths for Sustainable Changes in healthcare. This was a very energetic opening to the summit which motivated all attendees that we are all capable of making change. To do this she encouraged us to build change from the inside out. To introduce the next speaker she ended with "in God we trust, everyone else must bring data and a patient story". Madelyn George-Theimann and Roy George were an entertaining duo who provided the patient experience. Their journey began when Roy was a baby in the neonatal intensive care unit that Madelyn worked in as a nurse. Roy has short gut secondary to necrotic bowel that required a large portion of his bowel to be removed shortly after birth. Roy would require lifelong parenteral nutrition through a central venous access device (CVAD) and when his parents were unable to care for him Madelyn stepped in and adopted him. Together they tell a very entertaining tale of survival and love whilst navigating the ups and downs of a potentially life limiting diagnosis. This brought home the very real patient experience to all attendees and set the scene for the remaining sessions where we learnt from one another and shared information that will improve the patient experience and reduce the complications of vascular access. Over the next two days, experts from within their own specialist area of vascular access including; Stephen Rowley and Simon Clare founders of ANTT (aseptic non-touch technique), Vito Tanzi and Tara White Navigating Hospital Procurement to ensure we spend smarter and treat smarter, our very own Nancy Moureau summarised the Michigan Appropriateness Guide for Intravenous Catheters (MAGIC), Gail Egan reminded us of careful post care and management to prevent vascular access device problems and the importance of ensuring optimal placement and site dressing upon insertion of a vascular access device will help achieve this. The final day acknowledged the work of Daphne Broadhurst, Nancy Moureau and Dr. Amanda Ullman in managing an under recognised complication of CVAD skin impairment. This trio of 'Dressing Queens' published an algorithm for managing impaired skin sites. I concluded the summit with a presentation regarding the significance of peripheral intravenous catheters including the results of One Million Global (OMG) Peripheral Intravenous Catheter Study (thanks Gillian and Evan!). There was a lot of interest from attendees to repeat the audit within their own hospital and excitement regarding the upcoming publication of the entire study. The final day concluded with the very sombre Only One video clip which is the Australian campaign to reduce multiple insertion attempts, multiple device failures and adverse sequelae of failed venous access. Dr. Patrick Parkes, Nancy Malloy-Harper and the entire 3M team were extremely gracious hosts and looked after all attendees and every aspect of the summit. I thoroughly enjoyed this experience and would highly recommend attendance if the chance is presented. Between 5th and 12th June 2017 I was invited to speak to a number of Nursing Societies in China (Shanghai, Liaoning, Beijing, & Guangzhou) as well as be a Keynote Speaker for the Chinese Oncology Society Annual Meeting (in Shenyang). My talks were 'Reducing vascular access complications: a review of research and practice' and 'Optimizing peripheral IV Outcomes in Cancer Care'. In addition to formal talks I facilitated workshops with vascular access specialist nurses and participated in panel discussions with nurse leaders and practitioners about IV practice and research. I was hosted by BD Medical for the duration of the trip. It was an honour and a privilege to address the various audiences I did, and I enjoyed the many interactions I had (facilitated by clever translators). I also made a new friend in the lovely and very experienced VA specialist Nadine Nakazawa from Stanford Hospital, California USA. I am admiring of what many of the Chinese practitioners are doing, sometimes in challenging settings. AVATAR's NSW Chapter Lead was presented a special community award from Liverpool City Council, in recognition of his contributions to the health and wellbeing of the local community. Dr Evan Alexandrou, a Senior Lecturer within University of Western Sydney's School of Nursing and Midwifery, was presented with a 'Hero of Liverpool' award at Casula Powerhouse Arts Centre on 26 June 2017. The Heroes of Liverpool Awards were created to recognise outstanding members of the community people who have gone above and beyond in their day-to-day work to improve the lives of others. In addition to being a teacher and mentor for Western Sydney University nursing students, Dr Alexandrou is a Clinical Nurse Consultant within the Central Venous Access Service (CVAS) at Liverpool Hospital. Dr Alexandrou is also the chief investigator in the world's largest vascular access research project the One Million Global Catheters study which has audited the use of peripheral intravenous catheters in over 41,000 patients in 450 hospitals in 51 countries. Dr Alexandrou, who was one of the first nurses in Australia to be trained in Central Venous Access, says the CVAS team at Liverpool Hospital is internationally recognised for its advanced, state-of-the-art methods for providing vascular access to patients. Associate Professor Deborah Hatcher, Dean of the School of Nursing and Midwifery, UWS says the Liverpool award is recognising Dr Alexandrou for 'Innovation in Health Excellence.' "Dr Alexandrou is a worthy recipient of this community award and is a credit to the University," says Associate Professor Hatcher. "His work as a clinical nurse directly improves patient outcomes; his applied research is advancing treatment procedures; and as a University lecturer and mentor, he is inspiring the next generation of nurses to make a real difference in their future careers." Frances was appointed as the first nursing Visiting Professor of Peking University First Hospital. 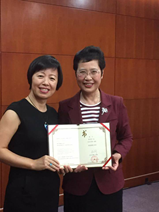 Picture: Dr Frances Lin receives the Visiting Professor certificate from Ms Yanming Ding, Director of Nursing, Peking University First Hospital, at a research seminar. This appointment is in recognition of Dr Frances Lin's ongoing commitment and contribution to the hospital's research program development and her efforts in promoting evidence based practice in China. Ms Yanming Ding, Director of Nursing, Peking University First Hospital (PKUFH), presented the certificate to Dr Frances Lin at a research seminar. PKUFH is one of the best and leading tertiary teaching hospitals in China. This was the first time a visiting professor position was given to a nursing academic at PKUFH. In the last a few years, Frances has worked tirelessly with the nursing department of PKUFH on promoting evidence based clinical practice and building nursing research capacity. In 2014, Dr Lin was awarded a Griffith University Peking University (PKU) collaborative research grant which aimed to assist with reciprocal research exchanges and joint research. Built on her prior connections with the Chinese nursing community, the grant provided great opportunity for Dr Frances Lin to explore collaborative research opportunities with researchers from School of Nursing, Peking University and the Peking University First hospital. As a result, Frances and her team in PKU and PKUFH secured the Peking University Health Centre Major Nursing Projects Grant in 2016. Her team is currently conducting a project titled: Peripheral intravenous catheter routine replacement versus replacement as clinically indicated: a randomised controlled trial. Frances, in collaboration with Professor Andrea Marshall, hosted two visiting scholars (Ms Jing Li, and Ms Shuhui YU) from PKUFH to School of Nursing and Midwifery, Griffith University in 2016 to conduct translational research. Frances is one of the editors of a book being translated into the Chinese language, "knowledge translation in health care: moving from evidence to practice (Straus et al.) which is planned to be published late 2017. This translated book will be the first book in the Chinese language on knowledge translation in healthcare. The OPTIMUM Trial is starting soon! The OPTIMUM trial (Integrated versus nOn-integrated Peripheral inTravenous catheter. Which Is the most clinical and cost-effective systeM for peripheral intravenoUs catheter Management) is a two-arm, multi-centre, randomised controlled trial of superior design comparing the clinical and cost-utility of two PIVC systems (integrated vs non-integrated) to prevent PIVC complications and failure. The trial will be undertaken at the Queen Elizabeth II Jubilee Hospital (QEII), the Royal Brisbane and Women's Hospital (RBWH); and the Fiona Stanley Hospital (FSH). This trial will be commencing at QEII in July 2017. Contact Dr Isabel Castillo at i.castillo@griffith.edu.au (Griffith University) for more information. For her postdoctoral fellowship project, Dr Gillian Ray-Barruel is conducting an interrupted time-series study, testing a PIVC assessment and decision-making tool in 6 wards in 3 Brisbane hospitals. The study will test the implementation of a new approach to IV assessment and we look forward to hearing the results. Email g.ray-barruel@griffith.edu.au for more information. You can also follow AVATAR Group online! 1. Gavin N, Keogh S, McMillan D, Rickard CM. Does parenteral nutrition increase the risk of catheter-related infection? A systematic literature review. J Parenteral and Enteral Nutrition. On-line Jun 2017. 2. Rickard CM, Marsh NM, Webster J, Gavin NC, Chan RJ, McCarthy AL, Mollee P, Ullman AJ, Kleidon T, Chopra V, Zhang L, McGrail MR, Larsen E, Choudhury MA, Keogh S, Alexandrou E, McMillan DJ, Mervin MC, Paterson DL, Cooke M, Ray-Barruel G, Castillo MI, Hallahan A, Corley A, Playford G. Peripherally InSerted CEntral catheter dressing and Securement: the PISCES Trial. Protocol for a 2x2 factorial, superiority randomised controlled trial. BMJ Open. June 2017;7:e015291. 3. Rickard CM, Ullman A, Kleidon P, Marsh N. Ten Tips for dressing and securement of IV device wounds. Australian Nursing & Midwifery Journal. 2017. May;24(10):32-34. 4. Ray-Barruel G, Ullman AJ, Rickard CM, Cooke M. Clinical audits to improve critical care: Part 2: Analyse, benchmark and feedback. Australian Critical Care. June 2017. On-line early. 5. Ullman A, Ray-Barruel G, Rickard CM, Cooke M. Clinical audits to improve critical care: the what, the why and the how. Australian Critical Care. 201; doi: http://dx.doi.org/10.1016/j.aucc.2017.04.003. 6. Kleidon T, Alexandrou E, Mifflin N, McManus C. Vascular access services around Australia. Vascular Access Apr 2017;3(1):26-29. 8. Kleidon P, Ullman A, Zhang L, Gavin N, Mihala G, Northfield S, Rickard CM. Peripherally Inserted Central Catheter OutcoMes PolyurethAne veRsus Endexo: the PICCOMPARE Trial. Protocol for a randomised controlled trial. Vascular Access. Apr 2017;3(1):15-21. 9. Keogh S, Shelverton C, Flynn J, Davies K, Marsh N, Rickard CM. An Observational Study of Nurses' Intravenous Flush and Medication Practice in the Clinical Setting. Vascular Access. Apr 2017; 3(1):3-10. 10. Choudhury MA, Wailan AM, Sidjabat HE, Zhang L, Marsh N, Rickard CM, Davies MR, McMillan D. Draft genome sequence of Roseomonas mucosa strain AU37, isolated from a peripheral intravenous catheter. Genome Announcements. Brief Report. Apr 2017;5(15): pii:e00128-17. 11. Farrell C, McCulloch E, Bellhouse S, Delahoyde M, Hill S, Rickard C, Yorke J. Peripheral cannulae in oncology: nurses' confidence and patients' experiences. Cancer Nursing Practice. April 2017;16(3): 32-38. 12. Broadhurst D, Moreau N, Ullman AJ. Management of Central Venous Access Device-Associated Skin Impairment: An Evidence-Based Algorithm. World Congress of Vascular Access (WoCoVA) Skin Impairment Management Advisory Panel. J Wound Ostomy Continence Nurs. 2017 Mar 28. doi: 10.1097/WON.0000000000000322. N.B. Wed 11th Oct, 08.30-12.00pm: Intensive Care Foundation Workshop Achieving Optimal Vascular Access: Thinking Outside the Central Line-CLABSI Box. Pre-conference workshop presented by AVATAR.